Show me the meat! Sometimes I just need a good low-carb sandwich, and now, thanks to this keto recipe, I have a perfect go-to. Low-carb veggies, all snuggled together cozily in a beautiful keto meat sub sandwich. Personalize it with your favorite keto lunch meats and veggies, and start chowing down! Summertime… time to bring out the grill, pour some ice cold keto lemonade, toss some fresh keto salads, make a batch of ultimate sub sandwiches, and of course invite your friends over for an epic summer party! I don’t know about you, but I really enjoy a good summer get-together. The food, the conversation, the warm weather. I do not want to miss out while it lasts. However, it is not so enjoyable when summer is beckoning, and I am stuck inside a hot kitchen with the oven on trying to make a tasty meal. Besides heating up the house unnecessarily, those types of meals just take a little more time than I would like when there are plenty more things I would rather be doing… outside in the sun. That is why these keto meat subs are the ultimate summertime delicacy. They are incredibly easy and require no baking, broiling, sautéing, or broiling. Just good ol’ fashioned stacking and mixing. One of my favorite parts of this recipe is the dipping sauce… boy, do I love dipping sauces! 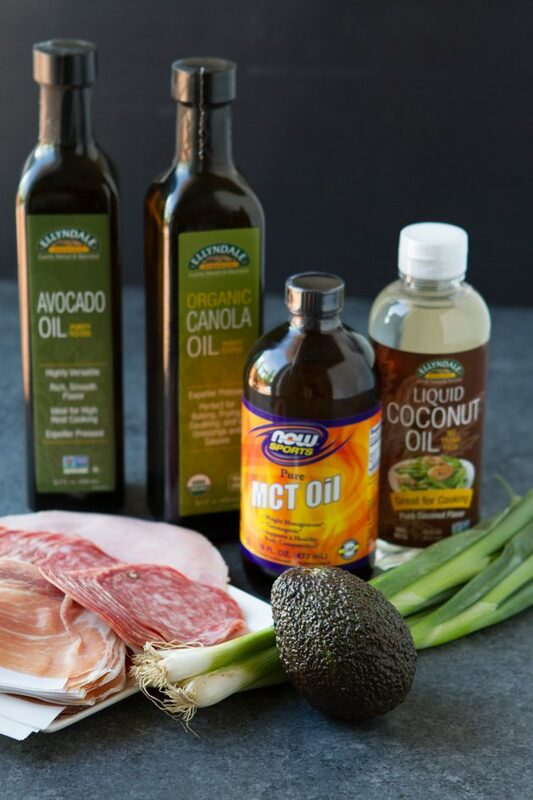 And this one contains one of my favorite ingredients—NOW Foods oil for extra healthy fat and great taste. Liquid Coconut Oil: You can cook, fry, and saute with this no trans-fats, all natural pure coconut cooking oil. Pure, natural, healthy coconut goodness is what this is. Canola Oil: Canola Oil, wah? How’d it get on this list? I explain it in the Notes below. Avocado Cooking Oil: Avocado cooking oil is great with any method of cooking but is particularly useful with high-heat cooking like sauteing and stir-frying since it has a high smoke point. It’s also full of healthy fats and even Vitamin E! 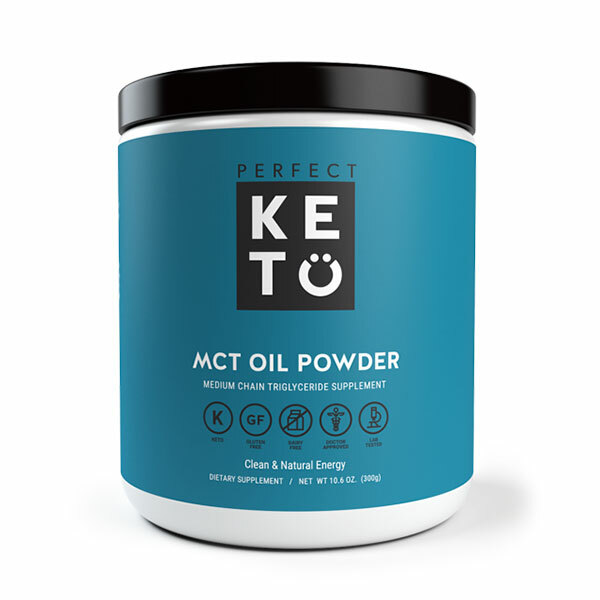 MCT Oil: This oil is great for so many reasons, which I explain some of them here. It’s great for dressings, sauces, and some cooking, but avoid frying with it since it has a low smoke point. 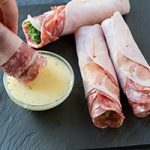 This keto sub sandwich recipe will definitely be a common meal in my house this summer… lunches, picnics, parties, on-the-go travel snack, you name it! I’m all about easy and delicious… meaning this recipe is a win-win! These are the EASIEST keto sandwiches you’ll ever make. Kevin and I created the recipe when we were on The Keto Diet Book Tour. We’d go to a grocery store, pick up our favorite low-carb sandwich fillings, and have at ‘er! MACROS: Fat 67%, Carbs 9%, Protein 24%. Place a slice of ham on a clean plate or cutting board. 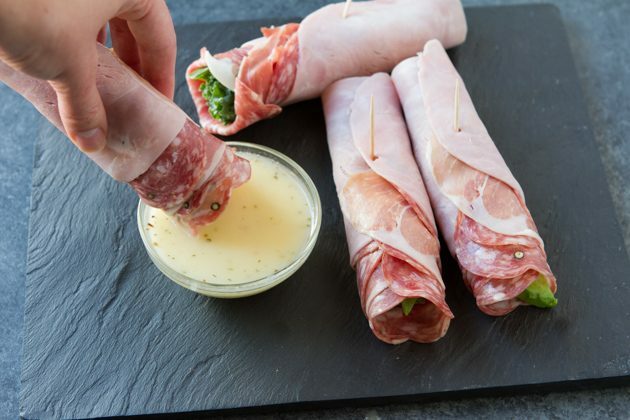 Layer a piece of prosciutto, followed by three or four pieces of salami, layering like a pyramid or making a square shape with the layers. Add a couple of slices of avocado, followed by a piece of green onion and a piece of iceberg to the far side of the meat stack. Roll the ingredients up like a California roll. Secure with a toothpick. Repeat with remaining meat and filling. Afterward, combine all sub sauce ingredients in a medium-sized bowl and serve alongside the low-carb sandwich. If you don’t want to make the sub sauce, no worries. 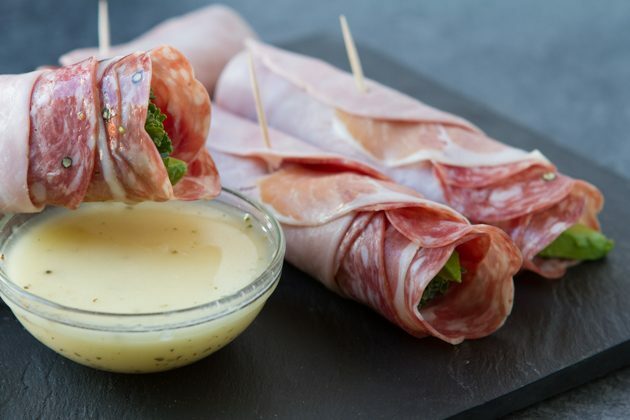 You could add a scoop or two of bacon mayonnaise to the wraps before you add the filling. *Opt for hormone-free, nitrite-free meats. If you can't find it, go with prosciutto for everything as it's just smoked meat. I know what many of you are thinking: Wait, what? Did she just put canola oil on the list of safe cooking oils? No way is this woman sane. I know. It blew me away, too. But with the right selection, canola oil is safer than many other oils out there. The omega-6 to omega-3 ratio of canola oil is on point—the distribution of SFAs to MUFAs and PUFAs is fabulous, and you can source cold- pressed versions, no problem. So the standard checks are in place. So why did canola oil get a bad reputation? It’s generally assumed that all canola oil is refined, solvent-extracted, and processed to the nth degree. In addition, there’s a ton of genetically modified canola oil on the market today—about 90 percent of the world’s canola crop is genetically modified. But let’s say we could get a non-GMO, organic, cold-pressed, and unrefined or chemical-free/low- heat-refined canola oil, which we can. What then? Keeping in mind what makes a good cooking oil (see page 135), let’s take a look at how canola stacks up to other oils. Both flaxseed oil and hemp seed oil are touted as health-promoting oils for the very components that canola oil contains, and in many cases canola oil does it better. The PUFA content of unrefined canola oil is 32 percent, hemp seed oil is 80 percent, and flaxseed oil is 66 percent. From this information, we can draw the conclusion that canola oil is naturally more stable than hemp or flax. I’ll put that in the “win” column. Looking now to the omega-6 to omega-3 ratio, canola sits at 2:1, hemp seed at 3:1, and flaxseed at 4:1. We know that the closer the ratio is to 1:1, the better off we’ll be. Again, “win” column. I’d say canola oil is doing pretty well for itself. But let’s dig a little deeper into its past to understand what went wrong and how we can find a good source of the stuff. 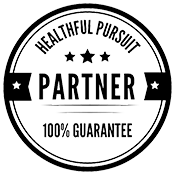 If a product has our Non-GMO Project Verified seal, you can be sure that it was produced using industry best standards for GMO avoidance. We offer non-GMO verification for canola oil produced from rapeseed that has not been genetically modified. Natural cross-breeding techniques that have been used by farmers for thousands of years are not considered genetic engineering under our Standard. Is the ultra-refined, heat-processed, chemically extracted, genetically modified canola oil bad? You bet it is. Do I plan on drowning myself in non-GMO, organic, cold-pressed, unrefined, or chemical-free/ low-heat refined canola oil? No. Just like I don’t plan to do the same with hemp seed, walnut, and flaxseed oils anytime soon because of their PUFA content. But I won’t go around shaming canola oil anymore. If you look for the same markers of quality used to evaluate any high-PUFA oil, it’s just as good. 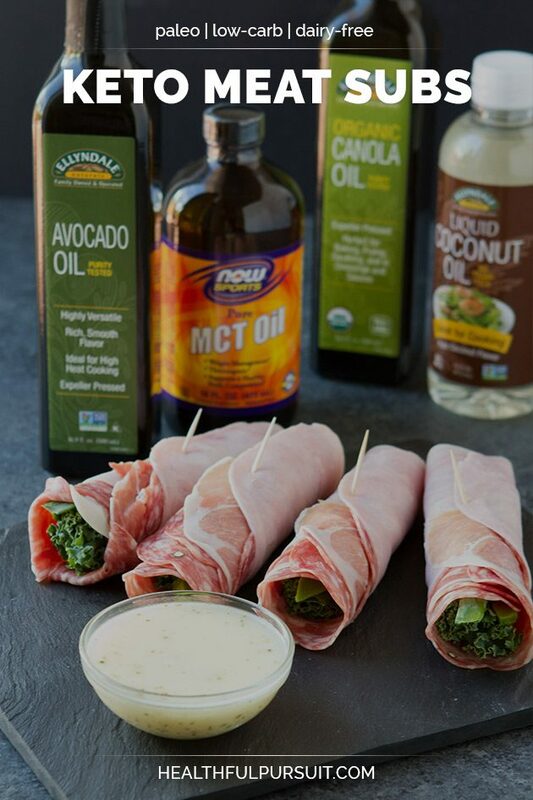 To get your hands on the ENTIRE Practical Oil Guide, check out The Keto Diet. What are your favorite sub sandwich toppings? Chat about it in the comments below! I’d love to hear your ideas!